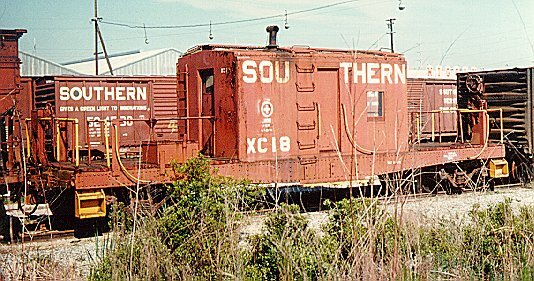 In the early 1950s yardmasters in New Orleans and Knoxville built 5 transfer cabooses using old flatcars. 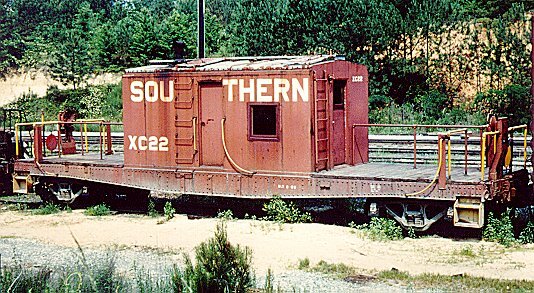 In 1955 Hayne Shop was instructed to begin construction of more of these transfer cabooses and by 1963 a total of 27 were built. 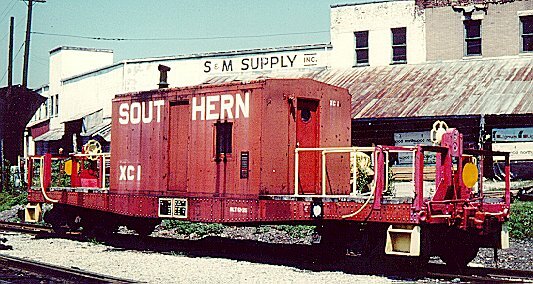 Beginning in 1958 Hayne Shop was authorized to replace the original plywood cabins with more durable steel. 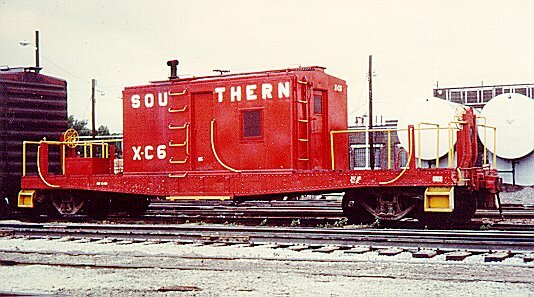 XC1 shows off a number of modifications made to transfer cabs during the 1970s. XC4 looks new but has merely emerged from the paint shop. Note that the roofwalk and grabs have been removed. XC6 looks fresh too but still has roof walks and grabs. 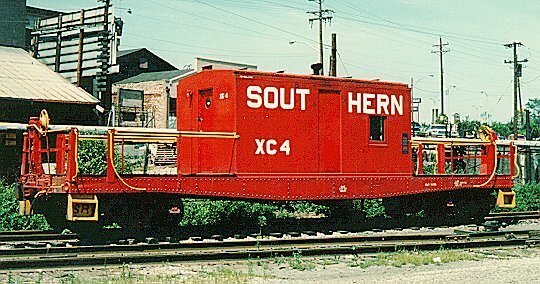 The SOUTHERN roadname is stenciled in small letters compared to the larger block letters used in later years. XC18 still has all its as built details but is heavily faded. XC22 also has roof walks and grabs and could use a paint job. Notice all that nice weathering on the floorboards. 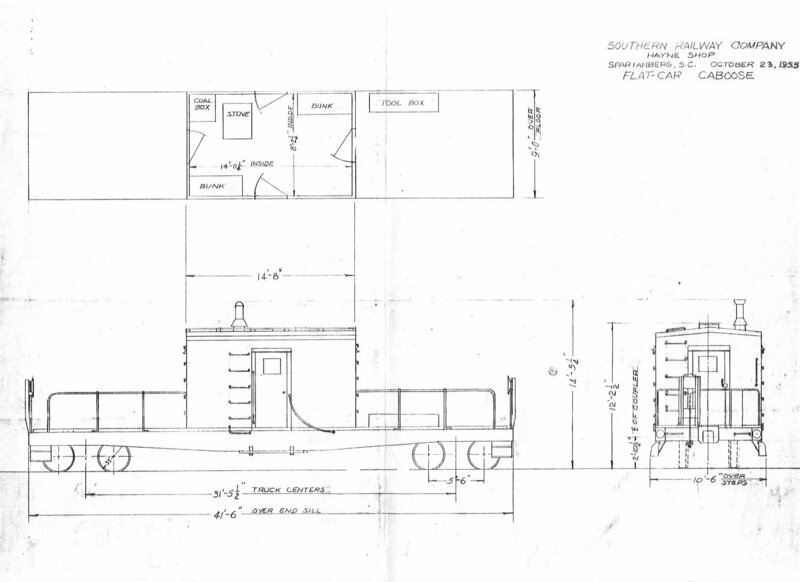 Click here to open a copy of the orignal 1955 hand drawn shop plans for transfer cabs (214KB). You can save it on your computer by clicking the right mouse button and selecting "Save picture as".